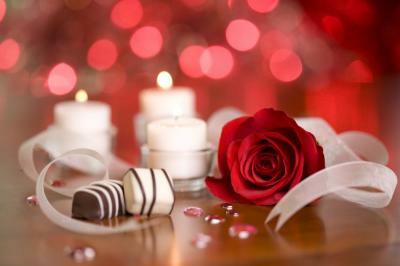 Great events take careful planning and preparation, so if you’re looking forward to having a heart-melting date this coming Valentine’s Day, you’ll best start as soon as possible. For those intending to dine out, be aware that good restaurants are usually booked solid way ahead of the actual date. To avoid feeling rushed and pressed for time, give yourself enough space to think through the activities you’ll want to do together on that special day. If you want to express yourself creatively through food (and you know your way around the kitchen), go for it. However, not everyone who can cook wants to cook, and you shouldn’t feel pressured to. After all, the main thing is very much spending time together. There are plenty of restaurants open with specially prepared Valentine menus, so if you’re thinking to hang up the apron this season, go for it. Sometimes, all it takes is one date to know way more about your partner, so if you want to leave a good impression, you’ll best hunker down on the small details that can make or break your Valentine’s together. Things like flowers and chocolates to romantic music and a love letter or card can really make all the difference. After all, you wouldn’t want to be feeling stressed out on these things on the actual day itself when you really should be focusing on your date instead. There’s going to be plenty of love floating in the air this Valentine’s Day, but it’s important to remember that your date should be the focus of your attention. Dressing up presentably for work is pretty much the norm, so why shouldn’t you spend at least that much effort on your date? When you do your best to look your best, you’re inevitably telling your partner that you care about how they perceive you and that you’re looking to make them happy. This Valentine’s Day is the perfect time to spend together with your partner, but we do understand that not everyone is lucky enough to be able to spend the whole day together. For those who do have the privilege of waking up to breakfast in bed and activities before dinner and even after dinner, make the most of it. One of the best ways to just relax and enjoy each others company is with our ultra-luxurious Destin limousine. We’ve been party to plenty of lovebirds over the years, and we truly believe that healthy relationships require dedication and time. With that being said, just reach out to us with your Valentine’s Day plans and we’ll get to work on showing you and your partner just how your time with us will truly be a memorable one.